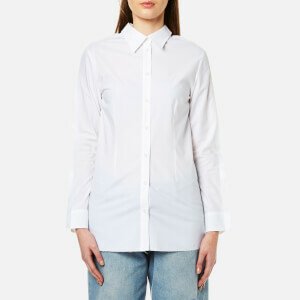 Women’s button down shirt from Alexander Wang. Crafted from a fluid silk, the blouse forms a loose, oversized construction with large metal buttons that convert the style to an off-the-shoulder, cut-out design. 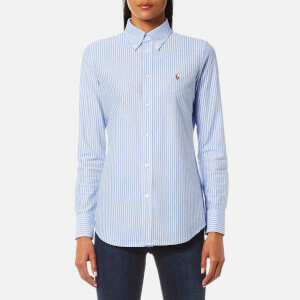 A concealed button placket and long, cuffed sleeves also feature. Hits at a mid-thigh length. Model is 174cm/5'8.5" and wears a size UK 8/US 4.